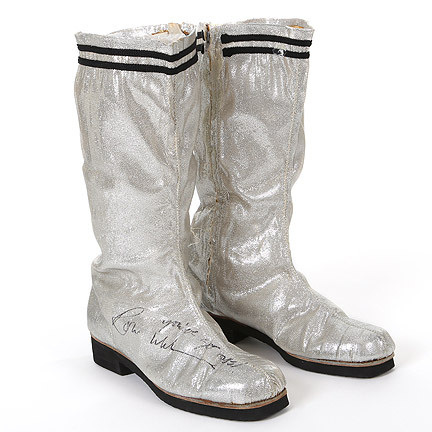 These silver boots and gloves were worn by the character "Mork," portrayed by actor Robin Williams in the television series "Mork And Mindy," which ran from 1978 to 1982. 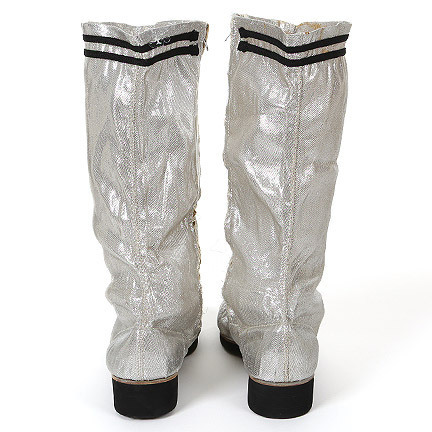 The custom made gloves and boots are constructed out of a silver lame material. The boots have two black cloth stripes sewn around the top of the boot, internal side zippers (slight damage), and black rubber soles. 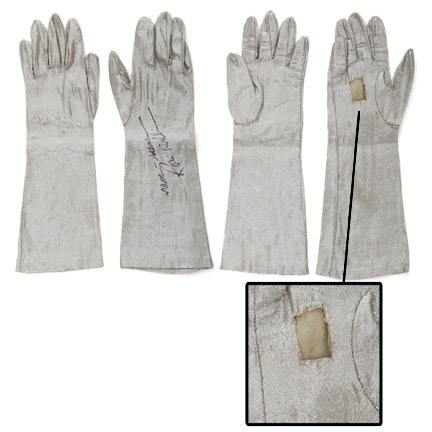 There is a rectangular hole in the right glove where a small rectangular bulb was imbedded into the palm, and when two metal contacts on the thumb and first finger were brought together, it caused the glove to light up. 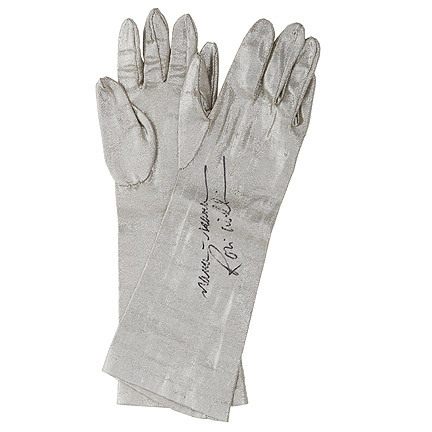 This glove was called the “Instamatic glove,” which is extremely rare. 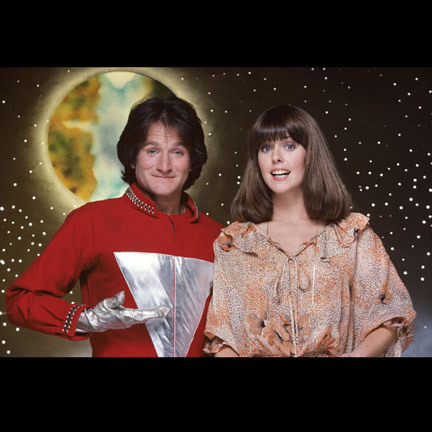 In season one when Mork goes home with “Mindy” (Pam Dawber) for the fist time, Mork takes a picture of her with the “Instamatic glove.” Mork tells Mindy to “Watch the Flookie” and he snaps her photo as his glove flashes. 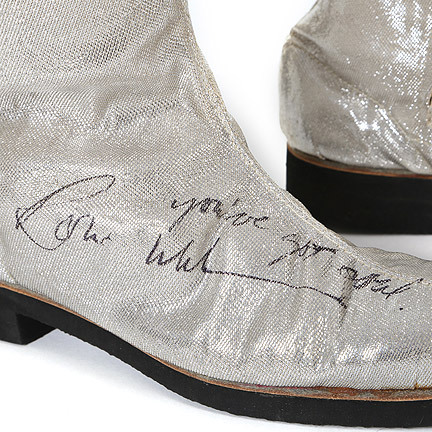 Mr. Williams signed one of the gloves, “Na Nu Na Nu, Robin Williams”, and the boots, “You’ve Got Sole, Robin Williams” in black marker. 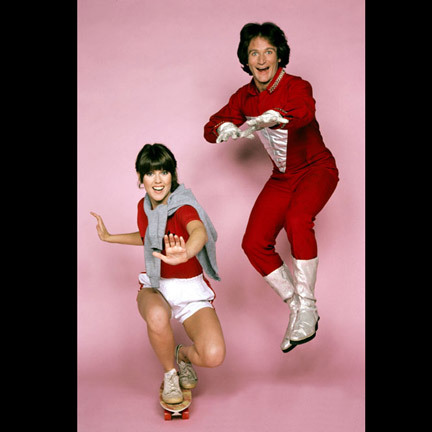 The boots and gloves were worn in promotional images and in various scenes throughout the series. 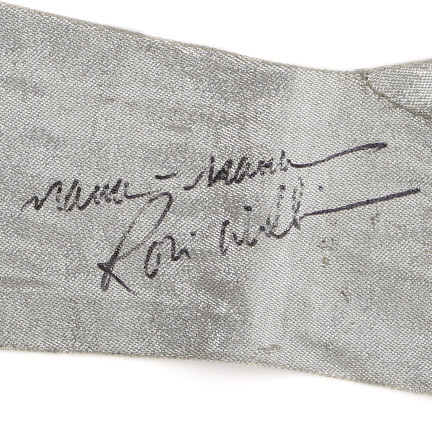 The items are in excellent screen used condition and is accompanied by a letter of authenticity from Joel Thurm, a respected casting director for Paramount and NBC studios. Mr. Thurm acquired these items directly from Paramount Studios for a celebrity charity auction held in the 1980’s. 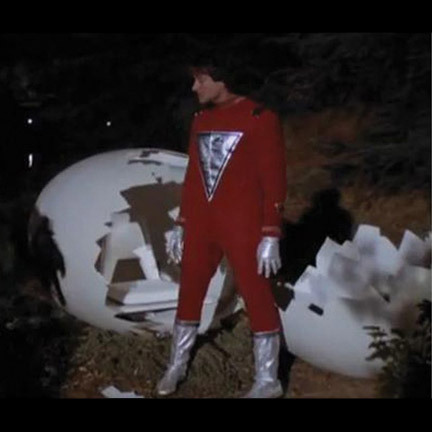 The items arrived after the auction took place and have remained in his possession ever since. Accompanied by a letter of authenticity from Joel Thurm.